In many organizations, the employee gets the perk of having a house allowance as part of the salary package. However not all employees are entitled to this allowance. Anyone who falls under these criteria is eligible to get a house rent from the company after the fulfillment of some requirements and pre-requisites. A house rent agreement may also be used whenever an individual or entities rent out a building to another party. What is a House Rent Form? A written document that acts as a formal request for seeking the release of house rent is called house rent form. This form is also used whenever a rent agreement is being carried out between two parties. 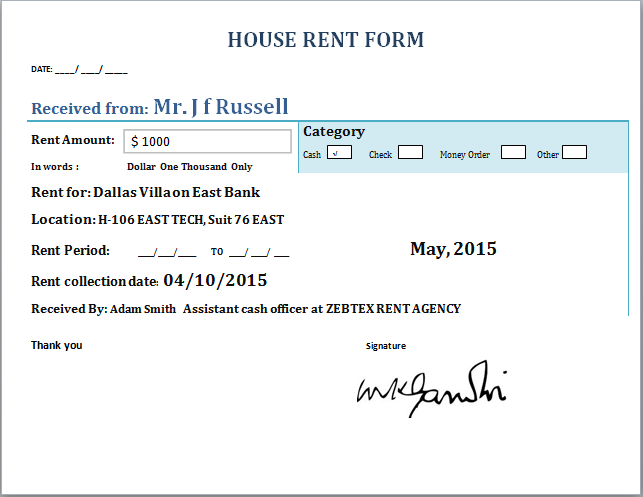 Both the parties involved in the rent agreement have to sign the house rent form. In many cases, a token money or advance payment is also made before the actual occupation of the house. This amount should also be mentioned in the form. The owner of the house fills in and submits the form to get the payment that is promised to him/her.